↑ Edwards, David (23 April 2004). "Hospital bus saved". Middleton Guardian. M.E.N. Media. ↑ "JP Executive Travel expands fleet after winning new routes". Manchester Evening News. MEN Media. 29 October 2009. 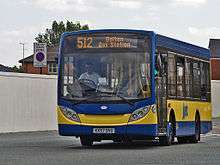 ↑ "Bus firm gives fire-hit mill new lease of life". Manchester Evening News. 23 February 2012. Retrieved 28 August 2012. ↑ "Congratulations....". JPT. Facebook. Retrieved 28 August 2012. ↑ "RouteMaps" (PDF). 26 January 2014. TFGM. Retrieved 4 March 2014. 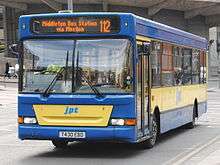 ↑ "JP Travel bus services will shortly be part of Stagecoach". 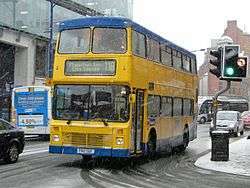 Stagecoach Group plc. Retrieved 25 April 2014.